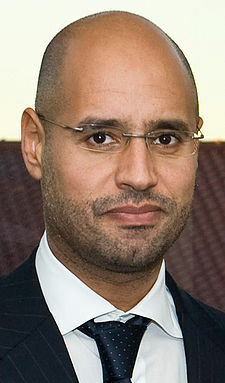 On April 29, one day before Muammar Gaddafi lost his youngest son Saif al-Arab and three grandchildren (two-years-old Carthage, 18-months-old Saif Mohamed and 6-months-old Mastura) under NATO night attack, he delivered a speech on Libyan national TV. He permitted few sharp words towards Italian leaders, the words, which being snatched out of the context, may be assessed as a warning or even menace to Italy. This fact made us think that secret services of the West may decide to enact terroristic acts in Italy and put the blame for it on Gaddafi and his people, to justify the land operation in Libya. MI-6 and CIA have already been enacting such a trick in 1988, blowing up a plane above Lockerby (read the article “Inconvenient truth” by Hugh Miles and BBC’s ‘Flaws’ in key Lockerbie evidence’). Now with the death of Said al-Arab the agencies have a convenient pretext to accuse Gaddafi of vendetta. These secret services can orchestrate an act of terror (perhaps nuclear terror) to justify an armed invasion or continuing heavy bombing. The media therefore is preparing ground, distorting Muammar Gaddafi’s words intentionally. 1. Libyan politics. Internal organization of Libyan politics is exclusive affair of the Libyan people. Even I cannot change it. Only Libyans can change their internal political system. 2. Gaddafi. To stay or to leave – it is not you who decide. Libyans are in charge of the country already for 40 years. My parents and my grandparents were killed in Libya and never left the country. My people love me because I do not love you. I’m not the President of Libya, but there would be a possibility the people would elect me. 3. Oil. Do not dream of oil. Do not dream of stealing the nutrition of our children. You can keep your business in Libya if we make a deal, but nothing else. 4. Libya. We will never hoist the white flag. In case of land operation all Libyans will take the arms and will fight! The truth is that westerners want to recolonise africa through-community strategy-poisoning the minds of people,creating a wedge between youth and elder generation and making them believe that africa woud be paradise with out wazees.WE HAVE BARELY 55 YEARS OF PEACE SINCE THE END OF COLONISATION.How can a coloniser turn out to be a saver?